Making mock-ups has been challenging, but rewarding.. I’ve made one 1:3 scale mock-up, but it was hard to work with and I did’nt get a good view of how it would look like in full scale. So I started making my mock ups in full scale. I chose two design sketches that I liked and made them. My teacher (Per Farstad) asked me to make mock-ups of several backpacks, I made some in my easter vacation, but I didnt feel that that method gave me anything in return. So I started sketching very simple and fast thumbnails of the backpacks front side. My drawing skills are at a low point now and everything I draw is not good enough. After 5 A3 pages of bad drawings I only liked one of them. This is the hardest part for me, not liking any of my sketches and doubting my abilities to get better. But I have to keep on going and draw my hand off! 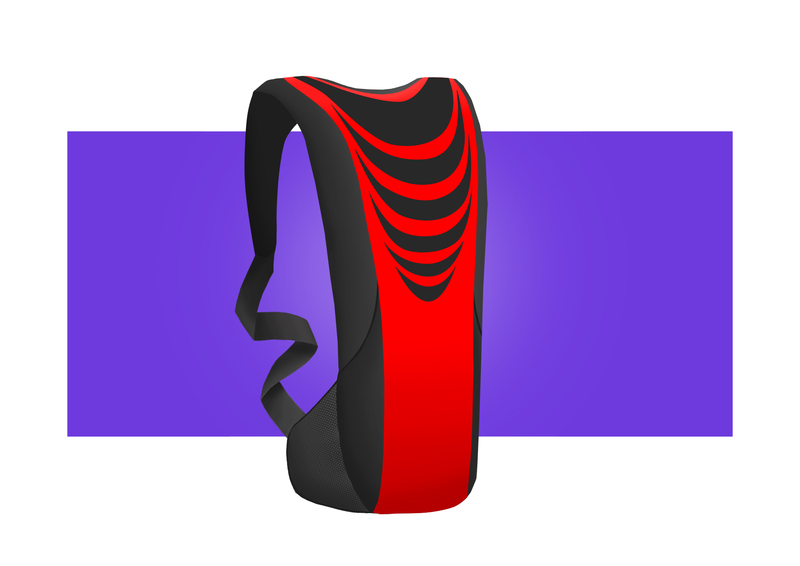 With this hydration backpack you get two products in one! 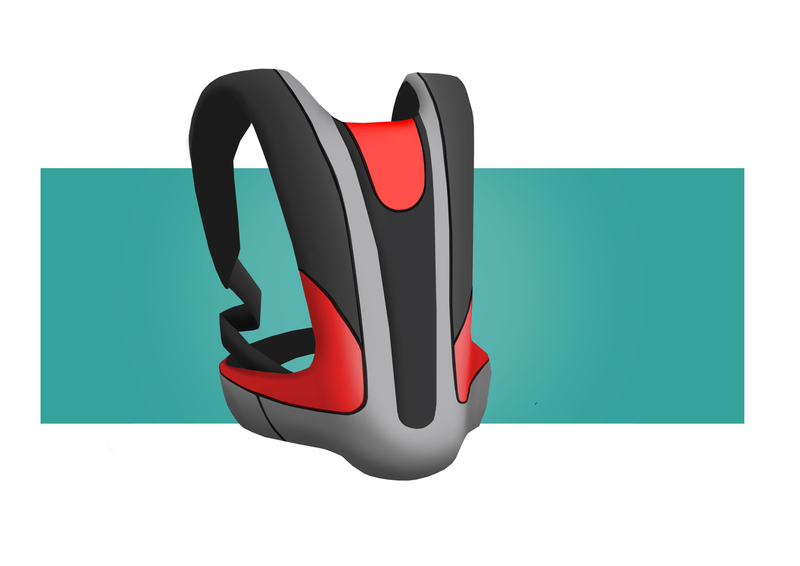 A hydration backpack, for the long runs/hikes/bikeride/skiing, where you need lots of water. And a hydration belt for the short runs/hikings and so on. 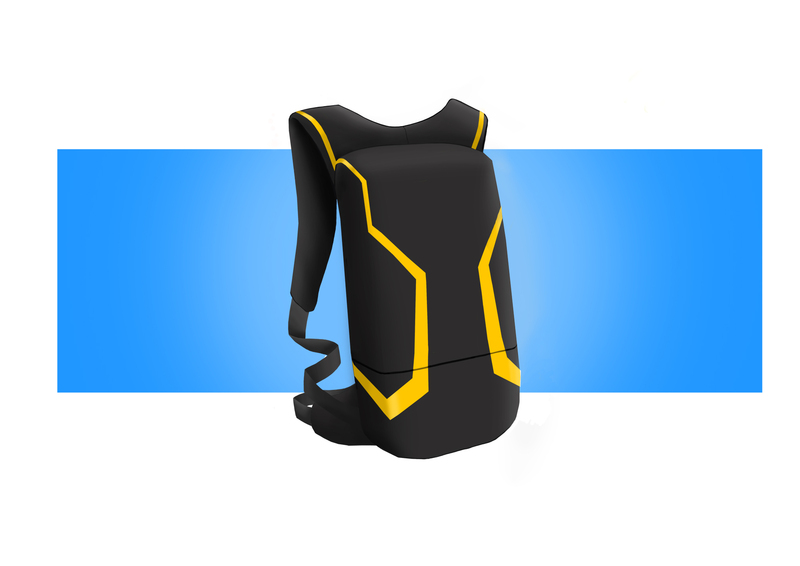 What I wanted with this hydration backpack was to get more comfort and stability for the active user. If your backpack is wrapping it self around you, maybe it those criteriors will be forfilled. It is also looks very sleek and dynamic with the long lines. Here its all about getting the backpack as small as you can. The weight has to be around 300 – 350 grams and there has to be a minimal use of materials. mariabacus: Which glasses do u like? :D the blue one?